The City-zen project is 22 innovative projects. 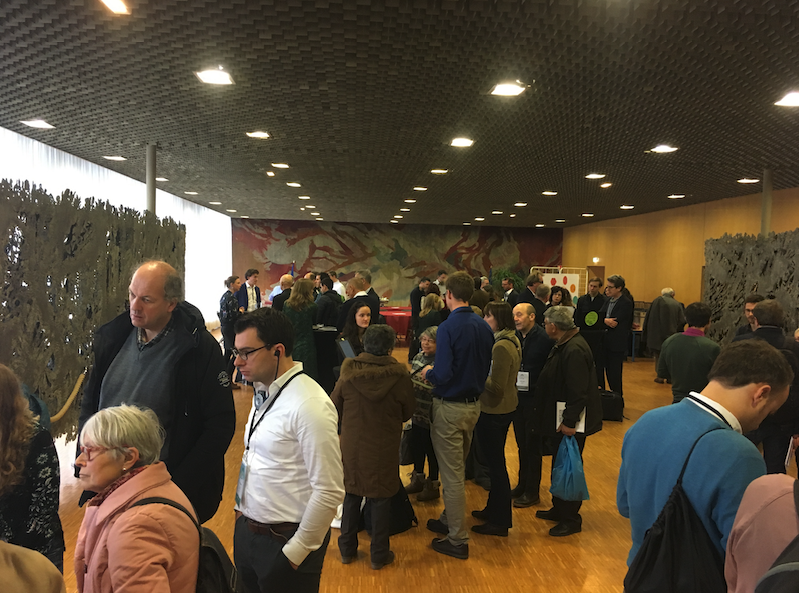 The project forum, organised during the City-zen Days, was an opportunity to discover many of them, and to travel between Amsterdam and Grenoble with a fun and lively approach. A guaranteed immersion in the heart of the energy transition! The idea? Discover 10 City-zen projects (5 from Grenoble and 5 from Amsterdam), by interacting directly with the leaders of these initiatives. A speed dating of sorts. Indeed, each speaker had 5 minutes to present his project, then 10 minutes to discuss with the participants gathered around him. Once the presentation was over, everyone chose a new innovation to discover. 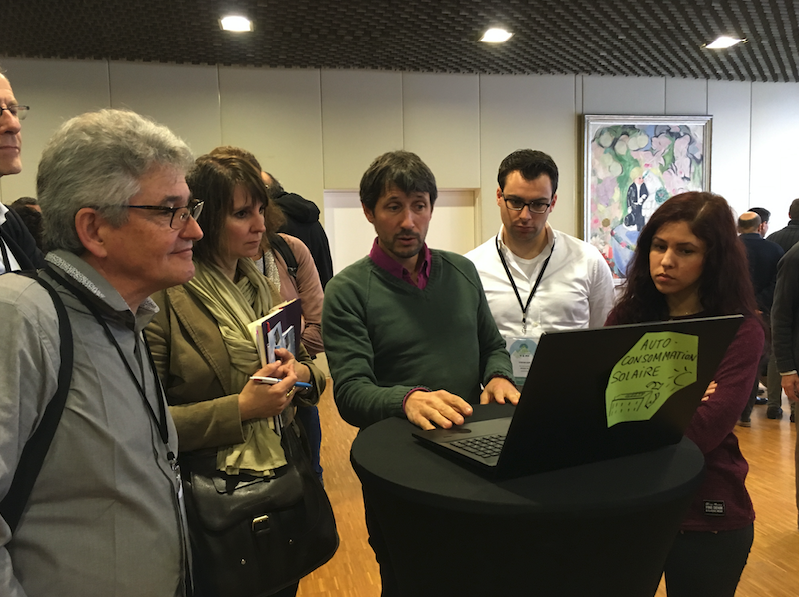 This interactive and concise format was very much appreciated because it allowed an enriching share and feedback of experiences between partners, professionals and a diverse audience. 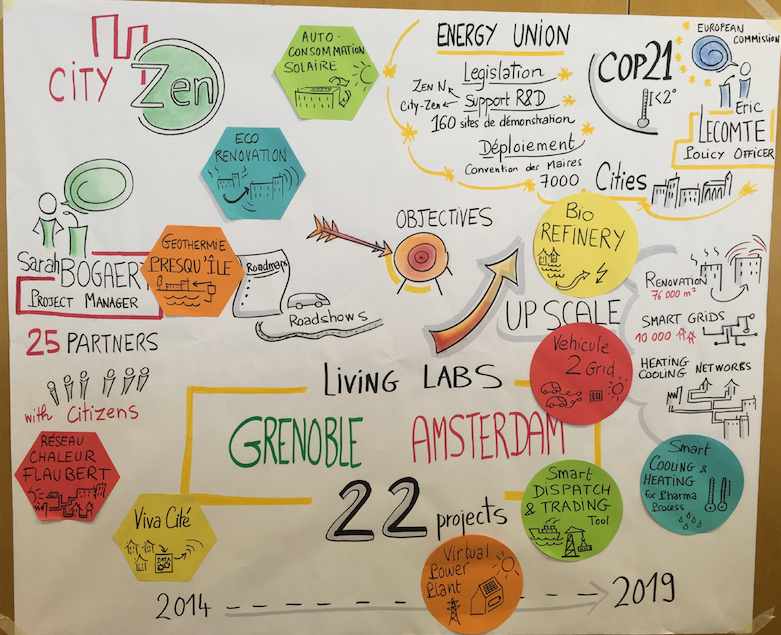 From photovoltaics to smart grids and rehabilitation operations, the presentation of this wide range of innovative themes allowed everyone to leave with an overview of the City-zen projects in action in Grenoble and Amsterdam.